Gamer Babes congratulates Matt Moore on coming agonizingly close to history. Carlos Ruiz was traded to the Dodgers, and Phillies Insider bids him farewell. Cat loves the dodgers says goodbye to fan favorite A.J. Ellis as he departs. The Dodgers’ interest in pursuing Ruiz is explained over at Dodger Insider. Thrivenationblog points out Ryan Howard is the last 2008 Phillie remaining. The trade inspired Newberg Report to check on some former Ranger prospects. Alejandro De Aza had himself a game, much to the delight of The Metssiah. The lineup nearly was perfect in the eyes of Women Who Love Cardinals Baseball. Inside the White Sox previews a sensational pitching matchup on Friday night. Playing by different September rules makes no sense, argues BB Baseball Talk. O’Zone gazes ahead at the outlook for teams in the hunt for October baseball. Meet The Electric Slugger, courtesy of this post from The Baseball Sociologist. Cardinals Insider Asked a Cardinal what baseball memory they’d like to re-live. Go back 50 years with Drei to when The Beatles played Dodger Stadium. 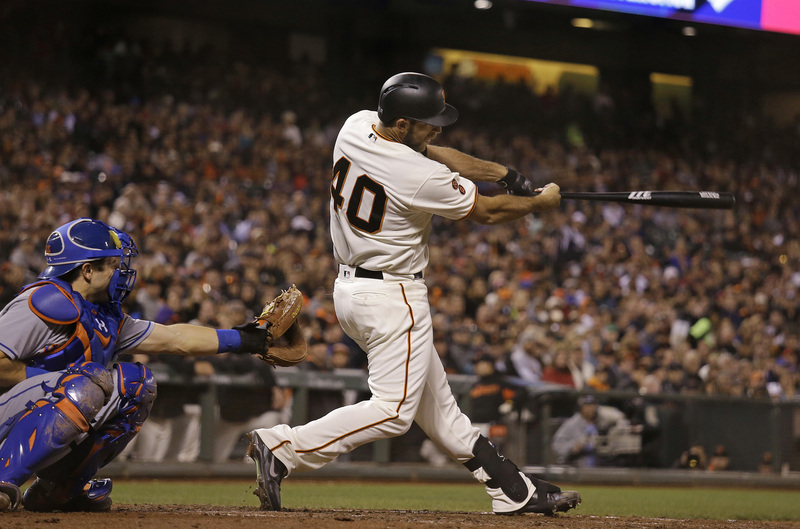 Bumgarner Snotrockets got to enjoy another home run by the blog’s namesake. The Mets pitching couldn’t match their bats, to the chagrin of The Metssiah. Stlcardinalsminimo says it’s time to get excited as things are looking up. Maikel Franco came through in a big way, as Phillies Insider will tell you. Dodger Insider laments a loss in Philly that snapped the team’s momentum. 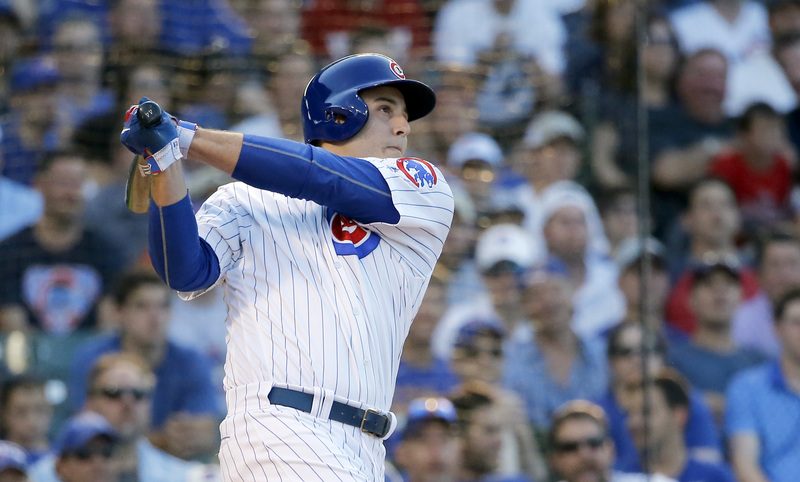 Kris Bryant homered his way to history, as The Canuck Cubbie explains. 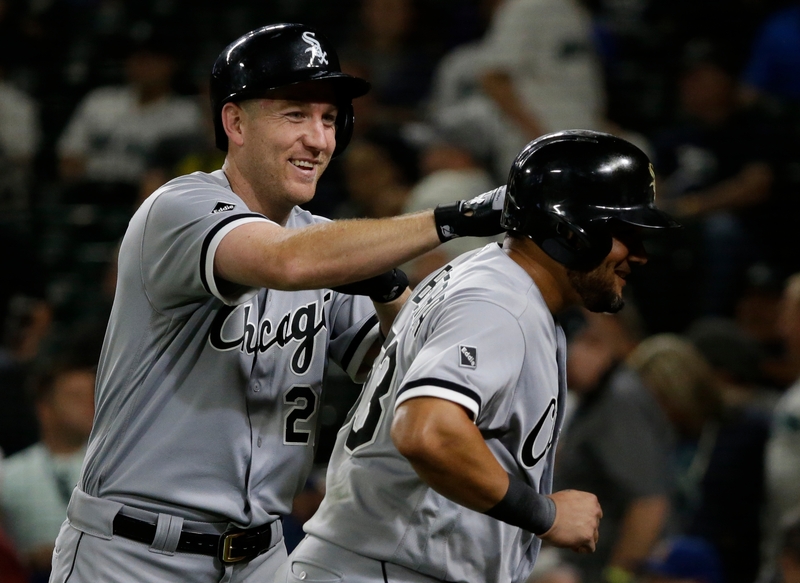 Inside the White Sox is eager for home cooking with a nine-game homestand. GM John Mozeliak talked strategy down the stretch with Cardinals Insider. BBST argues the A’s Khris Davis is climbing the ranks of elite power hitters. Recent trades and better performances have Pinstripe State of Mind hopeful. Dodger Drei wishes the late, great Roberto Clemente a happy 82nd birthday. See photos of Jerry Garcia Tribute Night at AT&T Park from SF Giants Photos. Callis’ Corner has some bonus prospects to add to his article on Team USA. Read about the Brewers’ #growGOLD Game over at Cait Covers the Bases. The Mariners saluted Ichiro on reaching 3,000 Major League hits on Sunday. On the historic occasion, revisit The Legend of Ichiro thanks to N2K Sports. 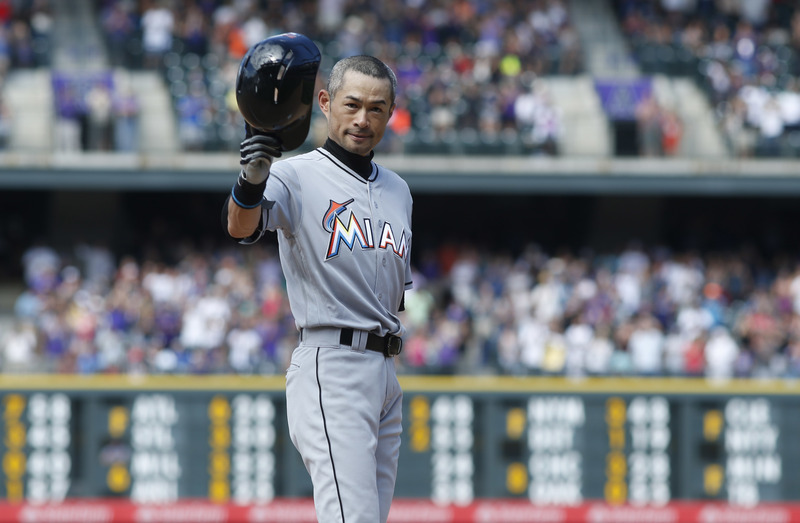 The Power Couple looks back at Ichiro’s amazing Major League career. Alex Rodriguez announced his retirement and The Cutoff Man covered it. I’m Not a Headline Guy… writes that it was the right decision for all parties. Here’s a top 10 list of A-Rod moments, courtesy of Lucas Frankel Sports. That’s All Sports takes a look at the announcement and what it all means. The Giants’ offense couldn’t get going Sunday, to the dismay of Gamer Babes. Bumgarner Snotrockets points out that at least the day wasn’t a total loss. Newberg Report contrasts the different approaches of the Astros and Rangers. The disappointment continued for the Cardinals and for stlcardinalminimo. Dodger Insider highlights milestones for Adrian Gonzalez and Rob Segedin. Zack Wheeler officially is pitching again and Above the Mendoza is thrilled. The Forty Forty Club picks out winners and losers from the Trade Deadline. Are the Cubs becoming Canada’s “other” team? The Canuck Cubbie believes so. It’s going to be strange seeing Chase Utley in blue, writes The Phillies Insider. Dodger Drei recently turned 42, so fittingly he’s celebrating Number 42. Preview the August food menu at Miller Park over at Cait Covers the Bases. Born on Third is liveblogging all the rumors and news on Trade Deadline Day. How do trade rumors get started? The Baseball Sociologist has an example. 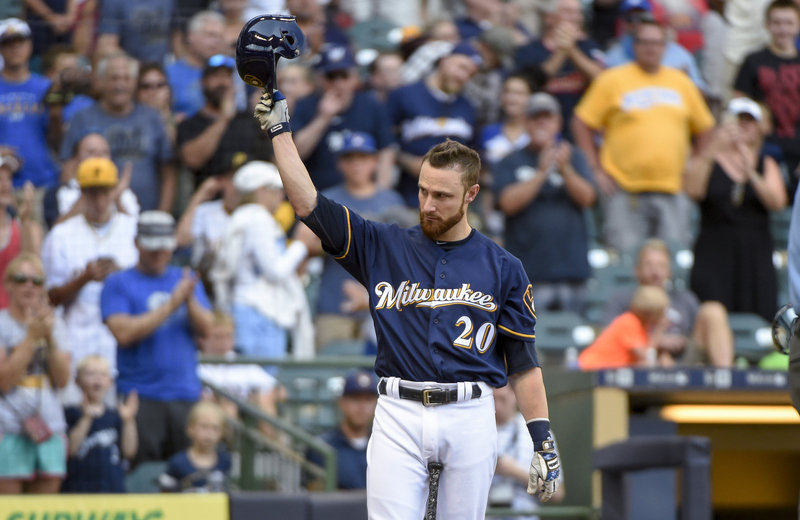 Now On Deck discusses the surprise twist of Jonathan Lucroy blocking a trade. The Yankees dealt Andrew Miller to Cleveland, and The Cutoff Man analyzes. I’m Not a Headline Guy… believes the fire sale is under way in New York. The moves mark an exciting new day for the Yankees, says The Wayniac Nation. Casey Drottar is more excited about Miller than upset about not getting Lucroy. Matt Kemp is exactly what the Braves need, according to Big Time Atlanta Sports. Degenerate Fanatics discusses the possibility of a Yankees-Red Sox trade. To trade or not to trade? That is the question facing Peplums and Pitches. Stlcardinalsminimo wants to see the Redbirds make one more trade today. These are some trade proposals from the mind of Ticket To The Tigers. Matt’s Sports Blog really wants to see Kyle Schwarber move to the AL. 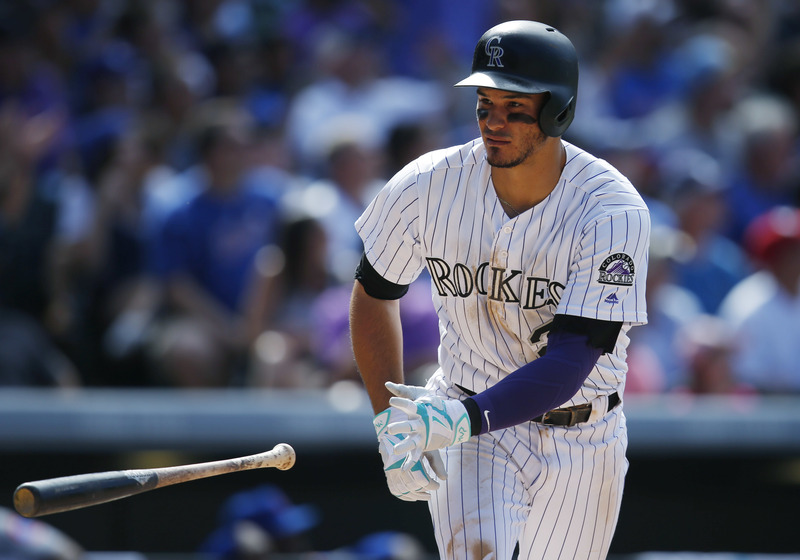 A trade is bringing a local product home, as Inside the White Sox explains. Newberg Report enjoyed the Rangers sweeping four games from the champs. The Giants did it this time without Gamer Babes from Half Moon Bay. SF Giants Photos posted a gallery of images from the win over the Nationals. The Phillies wrapped up a tough road trip and Phillies Insider recaps it. Subwaybaseball.com previews the upcoming four-game Subway Series. How big was Tuesday’s win for the Indians? Major League Bastian recaps. 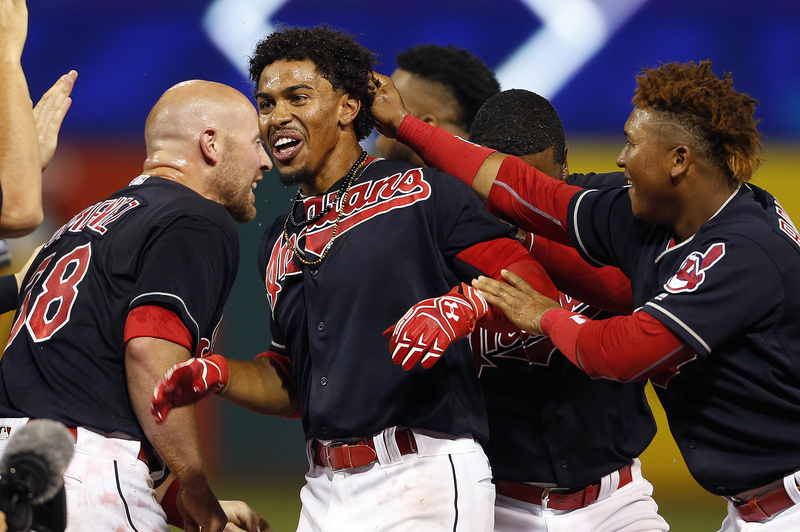 TribeVibe posted a photo slideshow, if you’d like to re-live all the drama. 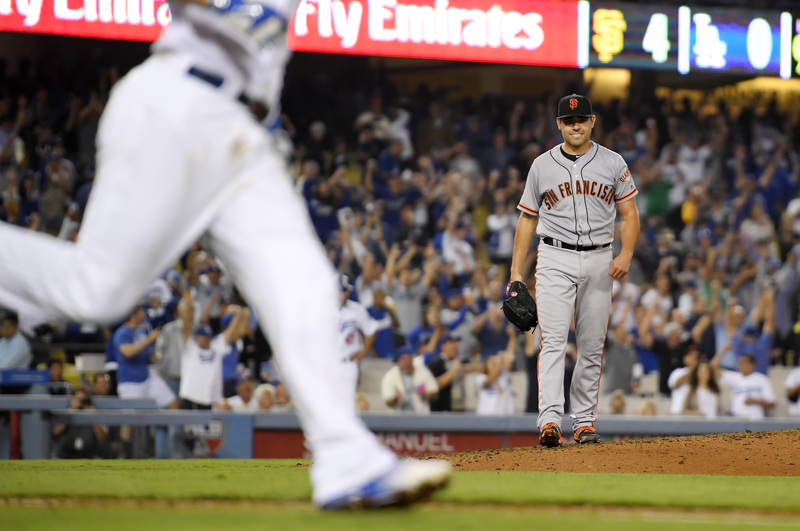 Was last night a turning point for the Giants, like Gamer Babes hopes it is? How great are Dodgers Photog Blog‘s images from the win over the Rays? Did Adrian Beltre’s heroics save the Rangers’ season, asks Richard Justice. Cardinals Red Baseball wants to know what’s going on with Trevor Rosenthal. Want a translation of an Aroldis Chapman interview? Muskat Ramblings has it. The Cutoff Man says the Yankees’ recent surge may continue without Chapman. 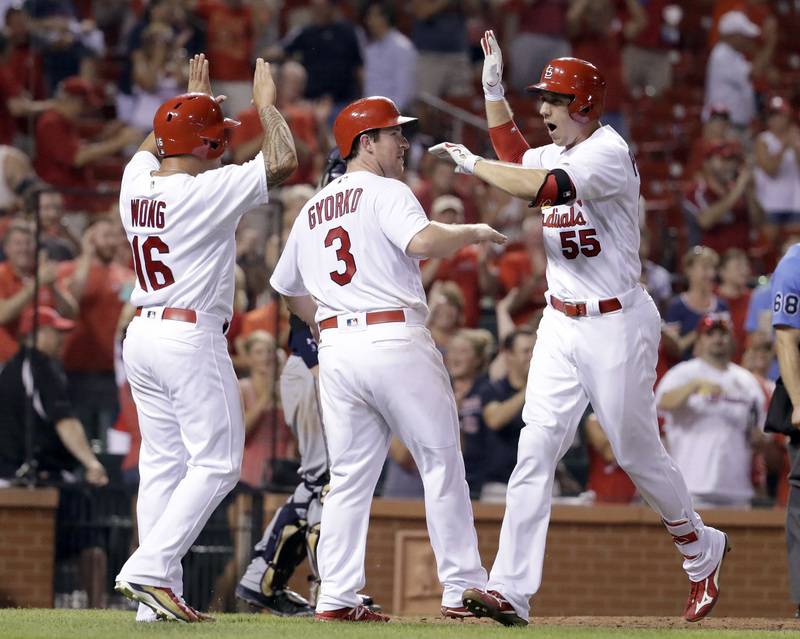 Will the Redbirds make a deal? Women Who Love Cardinals Baseball explores. The GOAT Sports takes a look around the AL East as the Trade Deadline looms. Sell or stay? That’s the question for teams right now, writes ballingwithblas. Casey Drottar is hoping the Indians don’t overvalue their prospects this month. When can a problem be a good thing? One Flew Over the Jays nest explains. Matt’s Bats was at the White House with the Royals, if you want his account. What’s it like to visit Citi Field? Unfair Weather Fan posted a ballpark review. Looking for starting pitching advice tonight? Enter MLB.com Fantasy 411. Baseball with Matt imagines who would win an All-Time Home Run Derby. Who will win the Cardinals Treasure Hunt announced by Cardinals Insider? What are you wondering this Wednesday? Tell us about it! @TheBallIsOrange reflects on a pair of 1990s baseball icons going into the Hall. The youthful Ken Griffey Jr. changed the game, writes thesportsmixblog. From the Corner of Edgar & Dave congratulates an absolute Mariners legend. 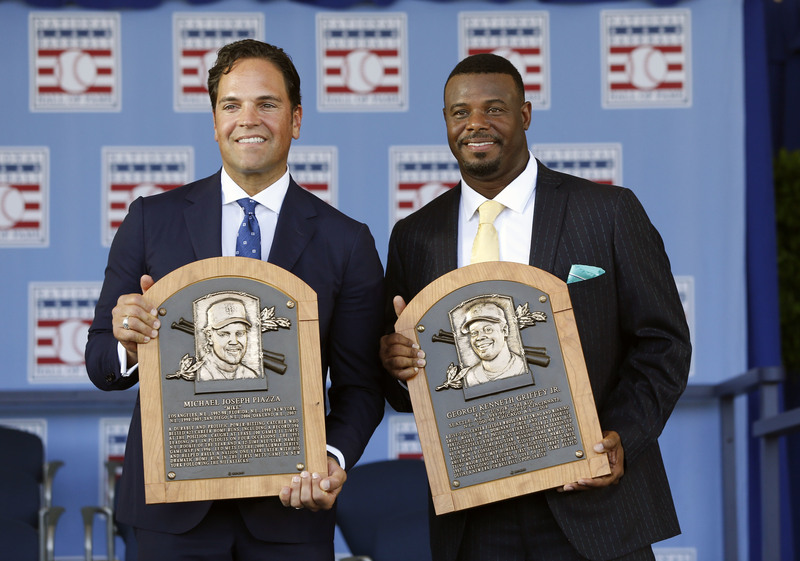 It would be great to see Mike Piazza and the Dodgers mend fences, says Drei. Fenway at Fenway was in Cooperstown and blogs about the experience. The Yanks impressed Yankees Life by taking the rubber match from the Giants. Reality bit the Cards in a way that was tough to watch for stlcardinalsminimo. The Metssiah is rejoicing after the Mets won the weekend series in South Florida. It’s been one step forward, one step back for the Giants, explains Gamer Babes. Dodger Insider nominates white-hot Justin Turner as a stealth MVP candidate. Sandy Leon is impressive, but how good is he? Degenerate Fanatics investigates. A Season with the Chicago White Sox weighs in on Chris Sale and the White Sox. These blockbuster deadline deals would shake up MLB, according to sconzo. Second City Sports Report put together six trade proposals before the deadline. Some players really should be on the move this week, believes thrivenationblog. The Forty Forty Club gazes into the crystal ball with predictions for awards. Every picture tells a story, as Our Game looks at the history of The Stick. Re-live Family Fun Day at Miller Park thanks to Cait Covers the Bases. What’s better than some timely home runs, as Inside the White Sox notes. Is Cat loves the dodgers tempting fate by asking what else could go wrong? Should the Phillies burn their bats, like Phillies Insider has recommended? Friar Wire wants to see how the Padres rebound from Tuesday’s tough loss. The Cutoff Man thinks the Yankees could make a run at the postseason after all. Want to see photos from inside the Green Monster, courtesy of SF Giants Photos? Newberg Report muses on the give and take between Chicago and Dallas. Is Jose Altuve the best hitter in baseball? He’s close, claims Hot Stove Soapbox. Numbersneverlie.org wants to know when Stephen Strasburg’s streak will end. Is Cole Hamels Cooperstown-bound like The Game of Redemption believes? Above The Mendoza explores the timetable for the Mets getting back Lucas Duda. What can the Cubs do to improve via trade? THE REAL CUBS FAN has ideas. The Grandstand wonders whether Theo Epstein should deal Kyle Schwarber. How did Cleveland do so well this past offseason? Tracy Ringolsby explains. Lucas’ Discussion puts forward 10 names the Blue Jays should be targeting. Want a preview of the Reds’ throwback unis? Head over to Better Off Red. Cardinals Insider invites readers to Ask a Cardinal with Sam Tuivailala. What’s on your mind this Wednesday? Share it in a comment!